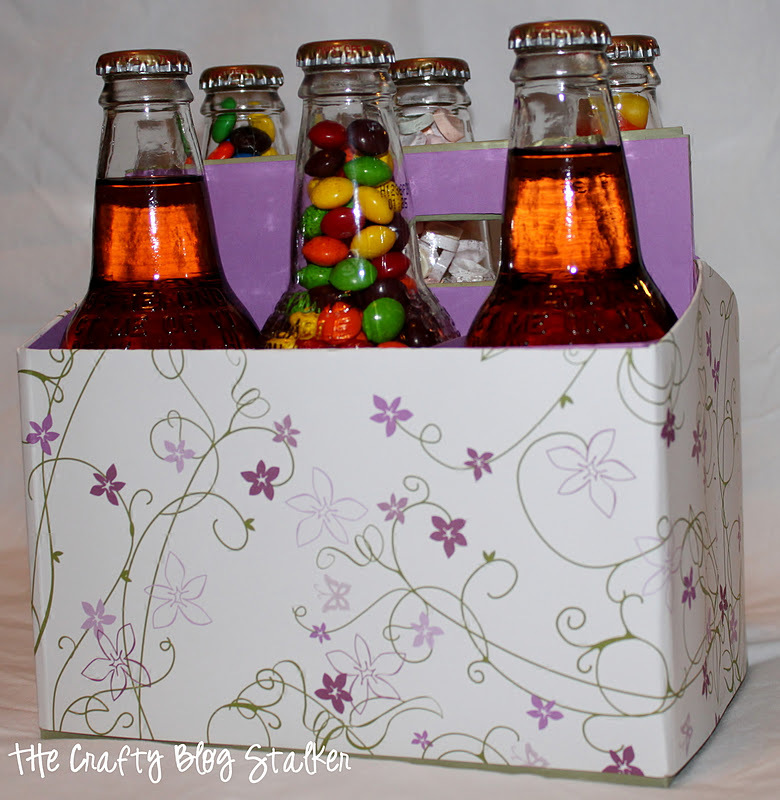 A 6 Pack of Treats is fun to give as teacher gifts or simply as a birthday present. Make it yourself and impress your friends and family. This tutorial will show you how! I got the idea from Catherine at Cat on a Limb. She recovered her 6 pack box and used it as a tool caddy which is very smart. But who wants to paint when you can grab your 6 pack and sit in front of the TV (or Pinterest) and DO NOTHING!!! Catherine gives a great step by step tutorial with pictures so I didn’t bothering catching every step. I just did exactly what she did. The person I was making it for really likes the color purple so I tried to pick colors that I knew she would like. I must admit that my favorite part was drinking the Cream Soda. Oh, how I love IBC Cream Soda. I wanted to leave my friend a couple of bottles so I drank 4 and left 2 for her. But I didn’t throw the bottles or the caps away. I washed them out really good and then let them sit for a couple of days to make sure the inside was good and dry. Then I filled them with small candies: Smarties, Skittles, M&M’s and Candy Corn. But really any small candy would work. Then, my favorite part, I left it on her desk at work. It was a fun gift to make, but I think it was a great gift to receive as well. Thats a great idea!! And couldnt we all use some candy and soda while we pinterest? That is really cute! What a fun surprise! 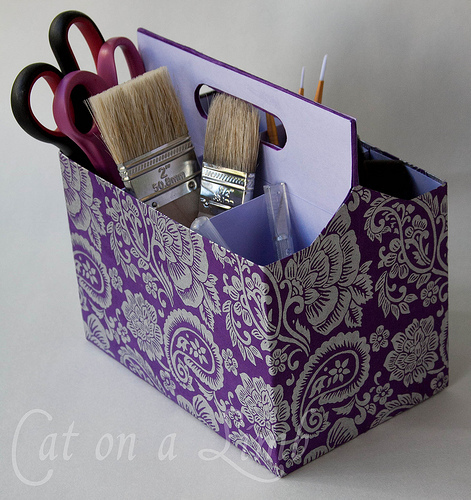 Love this idea & I have a couple of those carriers saved, because I knew there was a craft project in there somewhere! I like this idea, it’s a little bit unexpected! Cute gift for anyone needing a pick me up! I would love it if you would share this idea at my “It’s a Celebration” link party. PS I love the paper you added to the box-this makes it really personal! ok that is just too cute! It is the girly six pack, much better than beer. I would love to get this on my desk! Thanks for sharing at Fabulous Friday. What a cute and fun idea. I mean, who doesn’t like candy treats? Thanks for the idea. Love it!! So many possibilities! !